It seems that there is no more common or potentially devastating injury in sports than the torn ACL. But, what can be done, not so much to repair the torn ACL, but to prevent the injury from happening in the first place. For answers, we turn to one of Americas leaders in training and rehab, Gary Gray. In this course, Gary explores and explains the proper Function of the ACL. A large portion of this course is dedicated to helping all kinds of professionals understand how to properly rehabilitate and train for the purpose of functional success in both prevention and treatment of ACL injuries. Join us as we dive into the center of the knee! By the end of this online course you will be able to do the following: (1) Understand function of the anterior cruciate ligament as a sensory ligament, guiding ligament, an end range ligament. (2) Appreciate the function of the knee, and most specifically the anterior cruciate ligament in reference to the foot, hip, trunk, and the entire Chain Reaction. 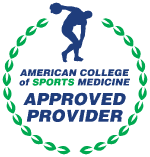 (3) Realize the synergistic friends of the anterior cruciate ligament in order to properly design a preventative training and conditioning program for the anterior cruciate ligament. (4) Analyze each athlete individually, developing a successful functional profile from which to build. (5) Test the loading components of the Chain Reaction to determine the functional successfulness of deceleration and therefore acceleration. (6) Explode the myths of the anterior cruciate ligament as well as the musculature around the knee. (7) Transform our understanding of the function of the ACL and the knee into logical training and conditioning programs. (8) Admit our ignorance relative to conscious knee dominant prevention programs by now designing functionally consistent three dimensional Chain Reaction training and conditioning programs. (9) Blend all components of tri-plane Chain Reaction function into our functional training and rehabilitation programs.